Internet Sensation Allison Closs, AKA “Danny DeVito Prom Girl,” Shares Her Story | The Gettysburgian. 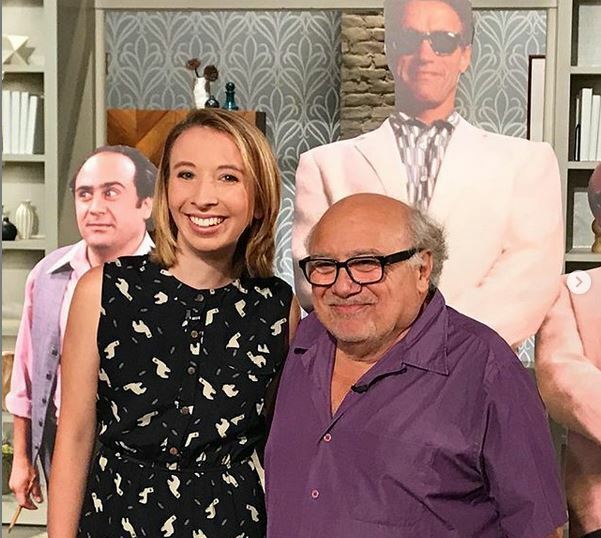 Allison Closs ‘22, also known as the “Danny DeVito Prom Girl,” experienced a new development in her months-long association with the It’s Always Sunny in Philadelphia actor when, during an interview with DeVito on March 11, late-night talk show host Jimmy Kimmel held up one of the now-famous photos of Closs and her cardboard cut-out DeVito prom date. “I had a lot of trouble getting a date,” said Closs, explaining what prompted her to take a lifesize cardboard cut-out of DeVito to her high school senior prom in May 2018. Contrary to popular opinion, Closs’s love for DeVito was not her primary motivation for choosing her unconventional date. Closs, who explained that she has a reputation for breaking the status quo and pulling wacky stunts, wanted to make her classmates laugh and to challenge the “gotta get a date, gotta get a date” concept of high school proms. Before the dance, her parents were skeptical but supportive of her idea. Her friends reacted similarly, although they seemed more hesitant to believe she would follow through. Arriving at the prom with “Cardboard Danny” dressed in a tie and boutonnière and pulled along on a scooter by a leash, Closs turned heads and unintentionally began a viral phenomenon. PennLive and other local journalists, who were present to cover the prom, photographed Closs and her date. From there, local news, with the consent of Closs, passed the story to The Associated Press, which again requested Closs’s permission to publish. Once the story ran, it spread like wildfire. To name a few, The New York Post, E! News, Vice, and Time magazine have all covered Closs’s story. She even went international, appearing in an article published by the BBC. 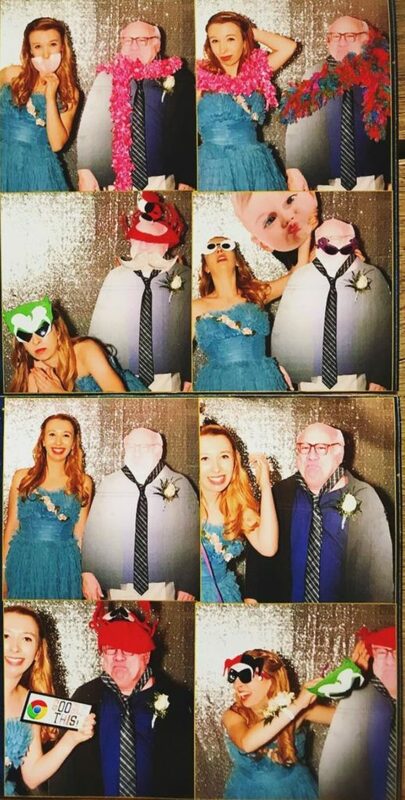 In June, Rob McElhenney, a co-star of DeVito’s on It’s Always Sunny in Philadelphia, tweeted at Closs: “Hey Allison – I heard you took cardboard Danny to Prom. What a coincidence. He took cardboard Allison to Paddy’s…” Attached to the tweet was a photo of a cardboard cut-out of Closs standing next to a very real Danny DeVito on the Paddy’s Pub set of his TV show. McElhenney was not the only person to reach out to Closs via social media about her much older prom date. Some of the attention that Closs has gotten has been less flattering, but their comments do not faze her. “People try to roast my appearance. I’m not offended. I think it’s hilarious…It’s like looking at yourself from a different perspective,” she reflected. A summer of making news headlines led to Closs’s first in-person appearance on daytime TV show The Talk in September. Closs remembered being in Spanish class at Gettysburg College on a Wednesday when her mom called her with the news. The Talk producers wanted to fly her out to Los Angeles on Sunday, film the show on Monday afternoon, and fly her back to Pennsylvania on Monday night. According to Closs, the producers told her the show was covering the top viral memes of the summer. Immediately, Closs was suspicious that the producers withheld their true intentions. On the talk show, Closs soon found that her earlier suspicions were well-founded. After being introduced to four cardboard DeVitos, she met the man himself. They hugged and took some photos together but talked for only a short time afterwards. Although she enjoyed meeting DeVito, Closs was especially grateful to meet DeVito’s agent after the show. The woman gave Closs her business card, and Closs, an aspiring director, was quick to follow up with an email, asking if DeVito had any summer projects that she could join. Currently in talks with DeVito’s agent, Closs hopes that she will spend the summer working on the set of It’s Always Sunny in Philadelphia. According to Closs, not enough people realize the effort that occurs behind the scenes in the editing and writing of comedies. Closs also appreciates films that take risks. She would love to work on a Wes Anderson or Quentin Tarantino film. Tarantino “definitely allows for experimentation, doing things outside the norm,” according to Closs. Whenever she gets the opportunity, Closs tries to further her career in the film industry. On campus, she works on GburgTV, which is undergoing a reboot. At the moment, Closs is writing for shows that will air next semester. Her ongoing project is “Gettysburg Ghosthunters,” a parody of ghost-hunting TV shows. Closs’s advisor for GburgTV and professor for Video Production, Jeff Williams, has made a deep impact on her. She appreciates his support of her aspirations and enjoys seeing him almost every day. For Closs, the attention that she has received over the past months has given her a feeling of validation, both in terms of her film industry dream and her own self-confidence. As she navigates the positives and negatives that come with her newfound fame, Closs always has her Danny DeVito cut-out as her “guiding light” — literally, since she has a spotlight on him where he stands in the window of her second-floor Stine Hall dorm room. Meeting DeVito in person was a surreal experience for Closs, and her unreal encounters do not seem to be stopping anytime soon. Nearly a year after taking DeVito to the prom, Jimmy Kimmel showed Closs’s photo on his late-night show last week. On her Instagram, Closs encouraged Kimmel to invite her to come on the show next time. She also thinks it would be incredible to appear on The Ellen Degeneres Show or Last Week Tonight with John Oliver. Recently, The Jonathan Ross Show, a British comedy talk show, asked Closs for her permission to use her photos on an upcoming episode. Whether or not her name is in the headlines, Closs works constantly at achieving her dream of becoming a director and at appreciating herself as “weird in a good way.” Of course, it helps to have Danny DeVito — real or cardboard — by her side.